Having been a fitness addict and gym owner, I wasn’t used to feeling weak, suffering from bad health. My health spiraling out of control. But that’s exactly what happened to me. I experienced a period of incredibly poor health following losing sight in my right eye after a series of retinal detachments. It completely threw my life out of sync. It was a difficult time for me and morning was a particularly bad time. Getting out of bed was a living nightmare. Just lying there feeling lifeless, lacking energy, feeling more tired than when I went to bed. I was still exhausted, energy less, brain dead. Unable to get up, motivated by nothing, just wanting to go back to sleep. Things didn’t get any better through the day. I seemed permanently exhausted. Day after day, it was a living nightmare. In pain after my eye operations and struggling with my loss of vision, limited in what I could physically do. I experienced high blood pressure which proved incredibly difficult to control, there was a multitude of visits to the emergency room of various hospitals due to my blood pressure sky rocketing into the danger zone, having to monitor it every day, 3 times a day. Breathing problems where too frequently I’d find myself gasping for air having done absolutely nothing in regard to exertion. It would come on at the strangest times. Bending over to tie my laces, and suddenly I’d be struggling to breath. It then would wake me in the middle of the night. One minute I’d be asleep, the next lying there fighting for breath. Suffering from constant severe pain in my abdominals. It was like a knife lay inside of me hacking away at the insides. My skin was blotchy and came up in a rash, my fingers tips and toes frequently freezing even in hot weather. Then there was the diagnosis of low testosterone levels and under-active thyroid. Also, my birth defect, a double curvature Scoliosis of the spine suddenly became a problem. For all my life, it had been kept under control through physical fitness particularly weight training which I began to do at 7. Now for the first time in my life I couldn’t train due to the problems with my eye and this allowed my back condition to now become a problem. On top of this of course were the difficulties associated with only having one eye to see from. Throw in 2 cancer scares you can safely say my physical and mental health was the worst it could be. For over 3 years, this was how things were. Like maybe you’ve experienced personally, a serious physical illness can affect every area of your life. For some of us, the emotional impact of a serious physical illness can be almost as impacting as the health issue itself. Emotionally I was a wreck. Loss of mental alertness, memory problems, tiring physically and mentally with the slightest effort, easily irritable and impatient with everyone, also depressed and lost. Then there was my weight, A few years before all my troubles I’d been 6ft2, weighed 95.254 kg (15 stone) with a Body Fat percentage of less than 10%. But two years of ill health left me a long way from the once fit, muscular gym and fitness class instructor. In fact, I didn’t recognize myself in the mirror. How would I, at 6ft1, I weighed around 126.10kg (19 stone 12) in fact at one point I got to 21 stone and had a Body Fat percentage of 38.2%. Yes, to cap it all, somehow, I’d lost an inch in height. For over these three years so much of my life was wrapped around seeing a multitude of doctors and specialists, undergoing blood tests, examinations, x-rays, scans and exploratory operations. Yet it seemed to just be going from bad to worse, no solutions being offered. Then off course there was the 10 different medications I had to take every day and the inhalers I needed for my breathing. I became sick and tired of waiting in medical waiting rooms, and I was sick and tired of being sick and tired. Fed up of being unwell. Illness had taken over my life. In fact, I got to the point where I felt incredibly down. There I was single and in no physical state to change this. Living on my own yet incapable of looking after myself. Fat, ill and fed up is as a good a description as any. I got to the point where I said, ‘no more’ it’s time to fight back. A wonderful event was the catalyst for this. In the May of 2015 I became a Grandfather for the second time. A little boy was born, his name is Joshua. My life was blessed having 2 daughters. Now I had both a granddaughter and grandson. At last the opportunity to fulfil a dream. To play football and cricket with my grandchild like my Dad and his father had done with me. Then the realisation hit me that if I didn’t do something drastic to improve my health that dream could never be fulfilled. I couldn’t even walk up a flight of stairs without panting, so running around a garden would probably kill me. 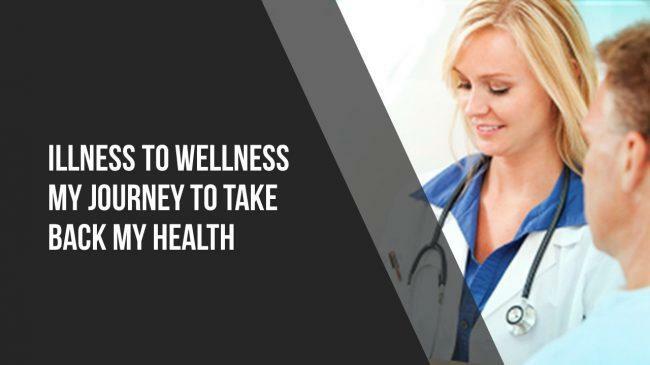 I became angry and then made the decision that no longer would I allow my life to be dominated by visits to the Doctor and Hospital, or by taking the 10 tablets I was now on daily, or be dependent on an inhaler, but instead I would find my solutions. I was desperate to restore my health and rebuild my body. I was no longer prepared to allow my health to stay in the hands of my doctor. It was time I got myself back up. Instead of relying on remedies I wanted to find a cure, and to get my health alongside my body back to a great state. I did everything I’d learnt to get back into good shape, I really did. I’m not a Doctor nor am I scientist, although as an owner of a chain of gyms as well as a gym instructor I knew a lot about health, fitness and of course healthy eating. I followed standard advice. But it made almost no difference. Working out 5 times a week, eating below 1600 calories a day, cutting out all the fast food, the pre- packaged ready meals, making sure I eat no more than 10 grams of fat per meal, eating lots of fruit and vegetables and drinking at least 2 litres of water every day. Nothing seemed to work. My doctors put it down to my health issues, particularly my thyroid condition. I wasn’t going to quit or accept my ill health was permanent. Getting back to a good state of health was the number one priority in my life. I had to force myself out of bed in the morning still feeling energy less and simply unwell at the beginning. Then I would get myself into the gym. I must have looked a complete novice. Walking unsteadily on a treadmill not able to run. Using just the lightest of weights and terrified that I’d cause too much pressure, not to my muscles, but to my eyes. This all began to change after an off chance conversation in the gym. A guy I’d known many years before. He hardly recognised me. 5 stone heavier, far less muscular and nowhere near as fit. He stated the obvious by saying ‘I didn’t recognise you.’ During our chat in between sets at the weights bench, he mentioned he was doing a diet called the 16:8 intermittent diet. We chatted about it a while. It peeked my interest. This simply made me want to learn more. That’s the life coach and ex physical fitness instructor in me, I love learning, acquiring knowledge. But with this knowledge hopefully I could change my life. I went on to find The Miracle of Fasting by Paul Bragg, which really drove home the benefits of fasting. I decided I was going to give it a go. I set my start date, and wrote down a plan of exactly what I was going to do. A few evenings later, I ate at about 7.00 and then declared at 8pm I was now beginning my 16 hours fast. I woke up the next morning starving. I wasn’t going to give in at the first hurdle. So, for the next 4 days and nights, I ate between 12 noon and 8pm, and fasted from 8pm to 12 noon. Basically, I’d sleep for 8 hours, fast for 8 hours and eat for 8 hours (not nonstop though). After about 3 to 4 days my hunger dropped significantly. After about 10 days I had to begin reminding myself that I had to eat. At about this stage two other changes began to take place. Having struggled to get out of bed for longer than I care to remember, suddenly when my eyes opened first thing in the morning I felt ready to get out of bed. Then I seemed to be getting more energy. It wasn’t a major ah ha moment, but I suddenly noticed I wasn’t having to take naps during the day and I just felt …. Better. Then significantly I was no longer hitting the wall about 8pm and needing to go to bed. This was something that friends and family found quite amusing. They didn’t realise how depressing it was, to suddenly find yourself exhausted, probably having done very little, and needing bed before 9pm. Suddenly I realised I was writing a blog, which I got really into and when I looked at my watch it was 10.30. And I felt great. This then happened night after night. Things were changing … at last. Then there was the gym. Within 6 weeks I was running on a treadmill. Only for 10 minutes, but that was 9.30 minutes more than I’d been able to do for many a year. Then the weights. I loved weight training throughout my life and had hated the fact that I had only been able to get myself to lift the sort of weights I’d expect a woman to lift, no offence implied. I never expected to get back to the type of weight I had been able to lift previously, after all I was older and no longer willing let alone capable of training 3 hours a day 7 days a week. But for 2 years I was leaving the gym constantly frustrated by what I could do. But now I began to see improvements. From nowhere I noticed I was getting stronger. The weights I was lifting were increasing. I’m back to loving weight training. Then there’s my weight. I had never been fat in my life, but now I was. Worse still I’d got to 21 stone. Oh my God. Nothing shifted it. For a month, I ate less than 1500 calories a day, and maybe I’d lose a couple of pounds. Go back to 2500, the type of calories that would be recommended on a normal diet and those lbs would return. It was the most frustrating thing I’ve ever experienced. Nothing worked. As I said I tried almost every diet we’ve all heard of. The Juicing Diet, The Military Diet, Slimming World, Atkins and my own diet plan that I’d used for years. Yet fat and unhealthy I remained. That was until I tried Intermittent Fasting. The scales began to drop and so did my waist circumference and body fat percentage. I suddenly, for the first time in a long time, felt transformed. Since discovering the intermittent fasting lifestyle my health has begun to return to an incredibly better level. If you had told me a few years ago I’d believe in intermittent fasting, I would have said you’re mad. I was set in my way, and believed I knew everything there was to eating right. Then the next part of the jigsaw to take back my health was discovered. I was having stomach problems, well more precisely my bowel movements were, well just let’s say they weren’t right. I began trying to eliminate certain foods. Kept swapping and changing. I did a lot of research. That’s when I discovered a lot of research on the damage that eating animal products could do to our health. So, I then made the decision to experiment with Plant Based Eating alongside Intermittent Fasting. You see I came to learn that to cure illness you need to stop feeding your illness with sugar, white bread, meat, cheese, milk, processed foods)… Health comes from stopping doing what’s bad for you and clean out the mess inside first. Then you only put good highly nutritious plant based natural foods back in. Eating vegetables, starches , Fruit , grains, beans, nuts, and seeds. Fasting combined with good clean nutrition supported my body to heal itself and recover from chronic illness. Together the two have genuinely changed my life and helped me take back my health. I would recommend anybody looking to make lifestyle changes to consider an intermittent plant based fasting diet. I now will be on it for the rest of my life and I expect to enjoy good health. Not something I’d have thought possible during the three years of poor health.You owe it to yourself to try it. Last week, was a landmark time of my life. Starting on Monday 12th June. I had my half yearly chest and breathing examination, followed by blood tests. On the Wednesday, I saw my doctor. He was astounded by the improvements. Everything that had been in danger zone was now not just stabilised but had returned to ‘healthy’ levels, plus my blood pressure had as well, then of course there’s my losing over 3 stone in weight. This was great news obviously but in my mind something better happened. I mentioned at the very beginning, the birth of my grandson and my dreams of being well enough to play football with him. Well on Saturday the 17th June, 2017, my 55th birthday I did. We ran around in the garden, kicking a football and scoring goals in the net I’d bought for his 2nd birthday. For 30 minutes I was like a teenager, full of energy and had so much fun. Let me tell you it was like a dream come true, a major life GOAL achieved, one that will be repeated many times in the future. I assure you two years ago I really didn’t believe it would ever be possible. So now you know my story, but more importantly maybe you can see why I would have the answers that are going to help you take back your health. If you were free to choose better health, would you choose it? Of course you would. 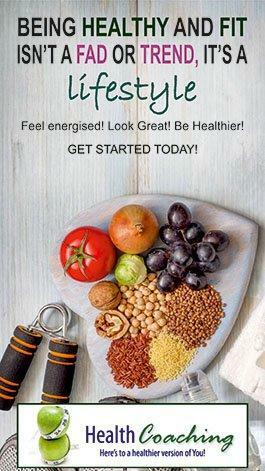 Who wouldn’t want to benefit from having more energy, good health, vitality, free from illness? The good news is, these things are possible for you. Within yourself, you have the power you need to create wellness in your life. That power is your power of choice. Your power lies in the choices you make every day on your own behalf. The problem is, like I experienced, nobody seems to be able or willing to give you the answers. The solution only ever seems to be offered in a pill. So if you are currently trying to rebuild your life after ill health let me provide you with a system that works. It worked for me, many of my clients and I know it will for you. I have developed my own program to rebuild my body and my health. Check out the Take Back Your Health coaching program. Finally I want everyone of you, particularly if you have had to contend with ill health for a long time, to believe that you can find the way to make life better. There may be no cure for you but there are answers to bring about improvements, sometimes dramatic. Getting your lifestyle right is a big step. Its time you took the right steps and at least do the 10 things I mention in my take back your health video. You are worth it! Congratulations on your successful health journey. I hope it inspires others who may not believe its possible to actually give it a try. i am 154cm, 5ft tall, weight 60kg, my body fat is at a 36 high, BMi at 25.6 high. I used to walk back from office for more than 5km daily. My health deteriorated immediately after the birth of first child. I had on an intermittent fasting and vegetarian diet, I aim to lose another 10kg, to keep my BMi at 23. Apple cider vinegar after meal does a great job in losing weight.